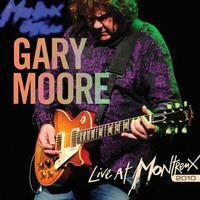 One of the final concerts by Gary Moore, this features a classic collection of his hard-edged brand of blues rock. I’ve already reviewed the DVD of this set. Although Moore occasionally winds up off-key in terms of vocals, his guitar playing is always incredible and the musical concepts involved are classic. Combining Celtic sounds with hard rocking bluesy guitar rock, this is a killer tune and a great way to start the set off in style. This number is more metallic and feels a lot like Thin Lizzy, but with more crunch. It’s got a lot of energy and really works well. There’s a killer melodic rock guitar solo on the number. The riff that drives this really smokes. It’s another with a metallic edge to it. Here’s a cut that’s slow and a bit more melodic. It’s a blues rocker that’s not as fierce as some of the other music we’ve heard thus far. It’s a good tune, but drags on a bit long. A two-fer, this is an extensive jam that’s a slow, bluesy cut. It’s cool, but at times the vocals are a bit rough around the edges. The guitar playing, though, is killer. 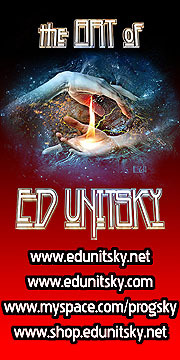 Here’s a rocker that’s closer to the kind of music Moore did with Thin Lizzy. We get another smoking hot bluesy rocker. Things aren’t changed dramatically here, but this is a strong tune. The trend continues. This one has some smoking hot guitar work and rocks out quite nicely. Here’s a smoking hot blues rocker. It’s a real screamer that works quite well. Coming in with acoustic guitar, “Johnny Boy” represents a change of pace. Here’s another blues rocker. Moore’s guitar soloing is incredible on this one. It’s an intriguing tune because it alternates between harder rocking and mellower territory.